Who says there won’t be any “continuity” between President Obama and President Trump? Yesterday, Team Obama edged closer to a trade war with China — filing a formal complaint with the World Trade Organization. The White House believes Beijing’s subsidies to its aluminum industry are a raw deal for American aluminum producers. If the WTO agrees, Washington will slap higher tariffs on imports of Chinese aluminum and other goods. In case you’re keeping count, this is the 16th complaint the Obama administration has made against China at the WTO. Meanwhile, Trump is stacking his administration with economists, financiers and lawyers even more eager to confront China over trade. 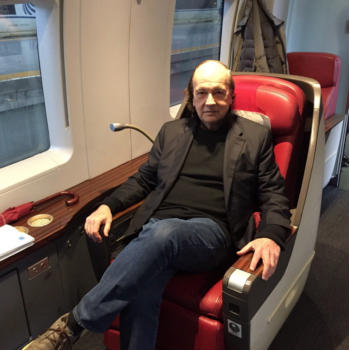 Jim Rickards is just back from China… collecting “ground truth” on a gathering financial storm. Jim traveling in style: Way better than Amtrak… and only $65 round trip. It looks great… but Jim says like much of the rest of China’s economy, it’s all a sham. “The Chinese stole the rail technology from Germany. They did not invent it. The entire rail system (and almost everything else in China) was paid for with debt that can never be repaid. The $65 subsidized train ticket does not even come close to generating enough revenue to make the system viable. The Chinese national railroad corporation lost over $1 billion in 2016 and is set to lose billions more in the years ahead. No we’ll take up Trump — who Jim says is, in fact, a known quantity when it comes to China. “He’s going to call for an end to subsidies to major Chinese industries such as steel. He’s going to demand a strong yuan to make up for years of an undervalued yuan. And he’s going to ask for help with the North Korean nuclear problem, the South China Sea disputes and an end to Chinese hacking and theft of intellectual property. The problem is that Trump will make demands Chinese leaders can’t possibly meet — even halfway. “China cannot end subsidies, because it would mean mass unemployment as the subsidized industries shut down operations,” Jim explains. Mass unemployment means civil unrest… if not a return to the nearly nonstop turmoil that China experienced from the 1840s to the 1970s. And on the geopolitical front, “China cannot put pressure on North Korea,” Jim goes on, “because North Korea would retaliate by opening its borders and allowing North Korean refugees to flood into China, which would be highly destabilizing. Finally, China cannot back off its claims to the South China Sea, because it needs the fish there to feed its people. From the Chinese perspective, the Taiwan issue is nonnegotiable. “In short,” Jim sums up, “Trump will try to strike a deal with a country that has nothing to offer because it has too much to lose if it makes concessions. “This is a slow-motion train wreck. 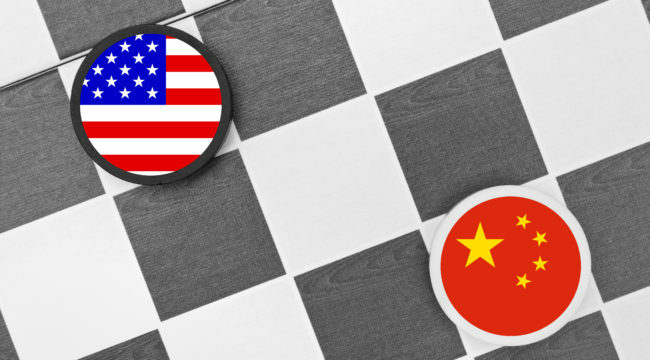 Trump will make demands, China will refuse to strike a deal, Trump will impose tariffs and taxes, China will retaliate by devaluing its currency, and matters will escalate into a full-scale trade and currency war. And the pressure could start ratcheting up the moment Trump is sworn in, a week from today. There’s every chance he’ll immediately brand China a “currency manipulator” — a step that was always a bridge too far for Obama. Such a move would instantly throw global markets into turmoil.